As a model and actress my skin is very important. Thankfully I love taking care of it and taking the time out to pamper my skin and making sure it’s throughly moisturized. I knew of Kiehl’s from my boyfriend using their men grooming products for his skin and beard. But I had yet to try their products myself. I had been eyeing their Glow Formula Skin Hydrator on Instagram, after seeing it on The REAL. So when I was gifted three of their products, one being the Glow Formula Skin Hydrator, talk about excited! It was literally like Christmas, I felt like a kid with new toys. I also received Kiehl’s Ultra Facial Cream and their Daily Reviving Concentrate. I couldn’t wait for the next day, to break them open. My thoughts on these products is quick and simple for anyone interested, let’s just say the level my skin is on is ten times better than it was a year ago. Smoother and so moisturized. Now I wasn’t using a Kiehl’s daily cleanser when I started using my gifted items last January/February. I added their Rare Earth Deep Pore Cleanser to my life this past summer. I don’t use it daily, normally just when I want to exfoliate and after removing heavy makeup (from photo shoots, etc.). The Ultra Facial Cream says your skin will be moisturized for 24 hours. Which I can say, I didn’t experience any moments of dryness or needing to apply more. It’s not a heavy cream and feels like it’s going into your skin and not just sitting on your skin. The Daily Reviving Concentrate facial oil is awesome, it is designed to help correct the appearance of fatigued skin. After traveling, nights with a cocktail or two or when i just look tired lol this is my go to. I prefer to use it with my jade roller; it just feels so good. I definitely suggest the Glow Formula Skin Hydrator, which you can use alone, under your foundation or you can mix with your tinted skin moisturizer or foundation as well. I love to use it alone or prior to applying my tinted moisturizer. As you can see by this photo my skin loves it!! It will literally make your skin radiate, giving a natural glow . I’m a sucker for a good Vitamin C serum and under eye cream. So, I would love to try Kiehl’s Powerful-Strength Line Reducing Concentrate (12.5% Vitamin C) and their Creamy Eye Treatment next. Have you tried any Kiehl’s products or plan to? Let me know your picks and how they work for your skin. 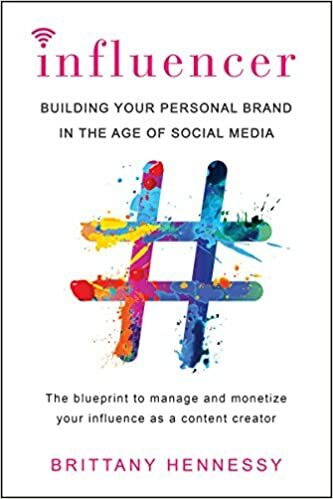 If you are building your brand, looking to increase your social media presence as an Influencer, I definitely suggest you get this book ASAP! I didn’t think there was much else for me to do to my Instagram bio and profile photo but just in the beginning of the book I’ve learned so much, made the updates to my bio and picture and my follower count has already gone up over 50 new followers in 24 hours. The tips and advice made so much sense. Get your copy today, click the link below!